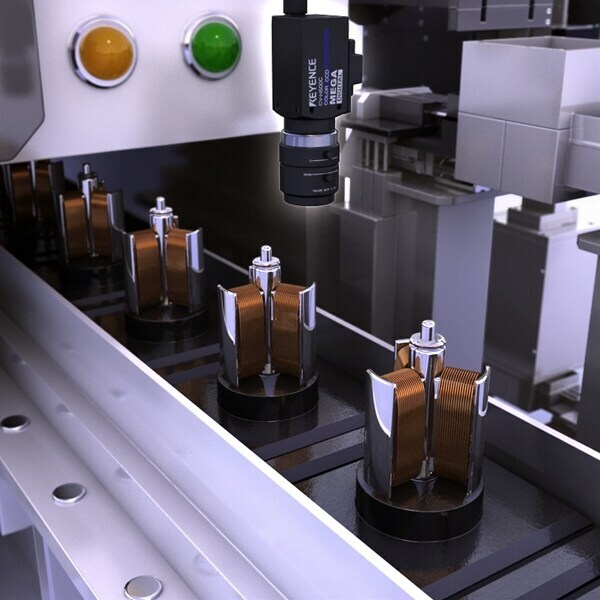 Using machine vision equipment to detect defective motor wire bundles (bindings) and solder. 1. HSV color extraction enables subtle color differences to be extracted accurately. 2. Adjusting the minimum saturation value (the S in HSV) enables stable detection under conditions of varying ambient illumination or reflection from shiny parts. Motor wire bundles and solder defects were previously checked using machine vision equipment with monochrome cameras. Detecting the difference between wires, terminal, and solder was difficult and unstable. The color cameras of the XG Series ensure stable detection.